Ukraine can eliminate its dependence on Russian gas imports in about two years, Ukrainian President Petro Poroshenko said in a speech given on Monday at the University of Zurich, during his state visit to Switzerland. "Ukraine used to import almost 70 billion cubic meters of gas, and now almost 40 (billion cubic meters). [But] in two years, we will not need Russian gas at all," Poroshenko said. As UNIAN reported earlier, in 2014 Ukraine decreased its gas imports from Russia by 44% compared to 2013 - to 14.5 billion cubic meters, and doubled its gas imports from the EU, to 5.1 billion cubic meters. 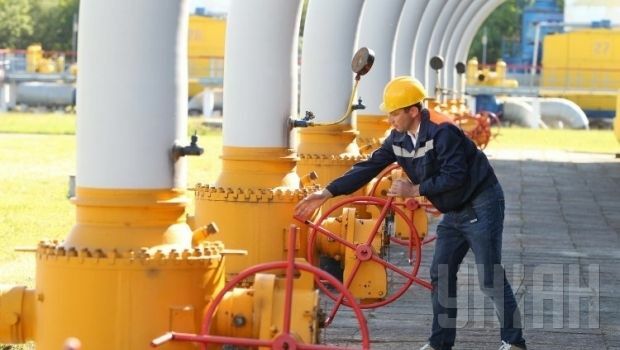 According to the latest information of the central dispatching department of gas transiting company Ukrtransgaz, as of January 14 Ukraine is currently receiving daily 38.6 million cubic meters of gas from Russia, 30 million cubic meters from Slovakia, and 2.7 million cubic meters from Hungary.